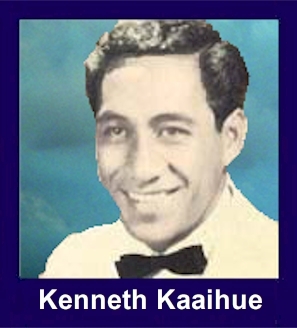 The 35th Infantry Regiment Association salutes our fallen brother, SSG Kenneth Rudolph Kaaihue, who died in the service of his country on June 24th, 1966 in Pleiku Province, Vietnam. The cause of death was listed as Small Arms/AW. At the time of his death Kenneth was 29 years of age. He was from Honolulu, Hawaii. Kenneth is honored on the Vietnam Veterans Memorial at Panel 08E, Line 86. The decorations earned by SSG Kenneth Rudolph Kaaihue include: the Combat Infantryman Badge, the Bronze Star with V, the Purple Heart, the National Defense Service Medal, the Vietnam Service Medal, the Vietnam Campaign Medal and the Vietnam Cross of Gallantry with Palm Unit Citation. The 50th Island serviceman to die in Vietnam, a soldier from Maui, fell in a bloody battle Friday against North Vietnamese regulars near the Cambodian border. The Army identified him as Staff Sergeant Kenneth Kaaihue, 29, of Honokahua. He is survived by parents, Mr. and Mrs. John L. Kaaihue of Maui; four brothers, Herman, Thomas, Bedford, and Elmer; and five sisters, Mrs. Clara Burrough, Mrs. Paulette Chandler, Mrs. Thelma Smith, Mrs. Mary Botello, and Mrs. Margaret Williams.